We went back to the RAF Museum, London in Hendon, London, today. It was Owen’s choice – he loved our two visits last winter and couldn’t wait to return. 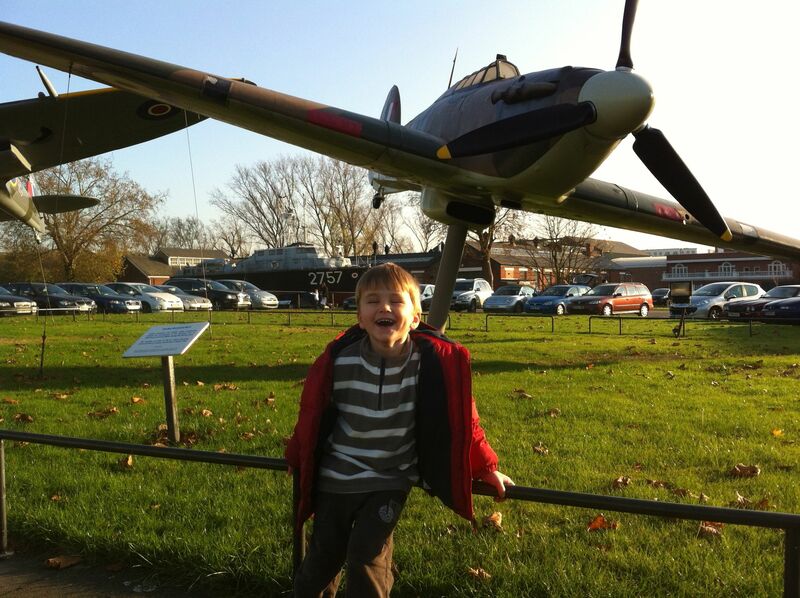 As I blogged last November about the RAF Museum, Owen enjoyed the hands-on gallery that explains how aircraft fly. This time, we watched the moving and impressive film about Our Finest Hour – the RAF’s role saving Britain in 1940. flight works. After three visits, we’ve still not seen the whole of the museum. We’ll be back! Finally, here’s the video I made of our first visit in November 2011. This entry was posted in History, London and tagged London, RAF, RAF Museum by Rob Skinner. Bookmark the permalink.